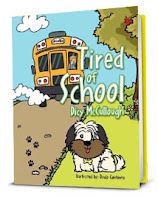 Lil Country Librarian: Dicy McCullough Autographed Books Giveaway! 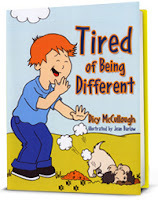 Dicy McCullough Autographed Books Giveaway! Are you feeling lucky? Today's giveaway is from author, Dicy McCullough! She has generously provided autographed copies of her books for me to giveaway to three lucky readers! Winners will be determined by RaffleCopter. Each book is valued at $15.99. Dicy is a retired Music teacher who began writing in 2006. Check out her musical book/video, Tired of My Bath via the YouTube video below. We loved to hear the kids singing the story in the video. Dicy's web site also has tab called Games and More that includes printable coloring sheets, a word search and on online review game. 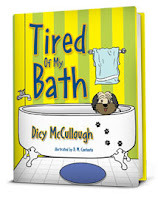 Dicy's books are Tired of My Bath, Tired of School and Tired of Being Different. Click on the book covers below to take you to the product pages on Amazon where you can find reviews, details and information on how to order. One winner per book will be chosen. This giveaway will end at 12:01 EST on Tuesday, July 3. Thank you so much, Dicy, for providing the books for this giveaway! I received duplicate copies of the books above in exchange for my honest review of the products. All opinions are 100% my own and were not influenced by receiving the books as compensation. I've never heard of these books ~ very cute! New author to me. Thanks for sharing!! I would love to read any of these to my to boys! These books look great! New author to me as well. Thanks for sharing! I'd love to have some new books for the upcoming school year! These books look great and I love your blog! Thanks for doing this! These books look really good for school! Thanks for introducing me to a new author! I love learning about new authors, thanks! I've not heard of this author! What fun to have autographed copies!! I love these books. I really love the bath one. My son is who I thought of then I started thinking about the book study I am doing I Pictures and In Words and how well these would fit in. Wow. This is a new author to me but love her work after checking the books out. Thanks. I am having trouble finishing this giveaway. I have subscribed to Dicy's utube but I can't get back to the entry page. I have to be completely honest and tell you that this is the first time I've used Rafflecopter for a giveaway. Were you able to make it back to the entry screen? You might try refreshing the page that this link post is on. Let me know. I want to make sure you are entered. These sound like interesting reads. These look like stories that would be fun to read aloud. These stories look fun! Thanks for the giveaway! Hi, I'm Debbie and this is my first visit to this site. I love giveaways! How sweet and so smart! Thanks for letting me know you received your book.